Acrylic paints were watered down to give the overlaying plaid pattern some transparency and depth. 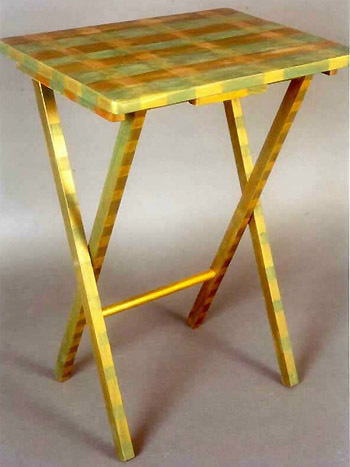 The gold lends luminosity to earthy green and raw sienna tones. San Francisco, Ca. Photography by Karen Preuss. To see more painted tables, click link below.